Moscato d’Asti and its Asti DOCG sparkling brethren were born – as indeed was Italian sparkling wine – in Canelli. Here, at Castello Gancia, we had an overview of the 3 DOCGs of Asti that are all made from the Moscato Bianco grape. This was led by Walter Speller of JancisRobinson.com, with Guido Bezzo, who manages the Asti Consorzio’s official laboratory. 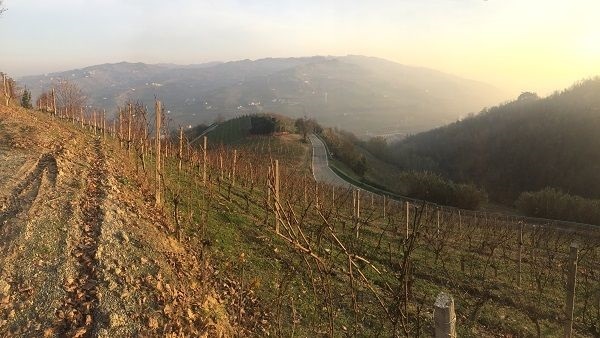 The Asti region was recognised in 2014 by UNESCO as a World Heritage site, and its folded, steep hills across the 6 core zones that underpin Asti’s spumante production area, are indeed very beautiful. 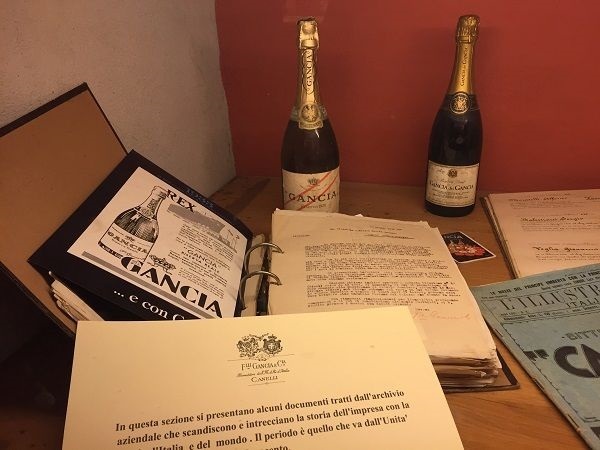 The producer who began Italy’s sparkling wine industry there in the 1850s, Gancia, also had its ‘Cattedrali’ historic spumante cellar recognised as such. When given a choice of 20 wineries to visit, I opted to see Gancia. 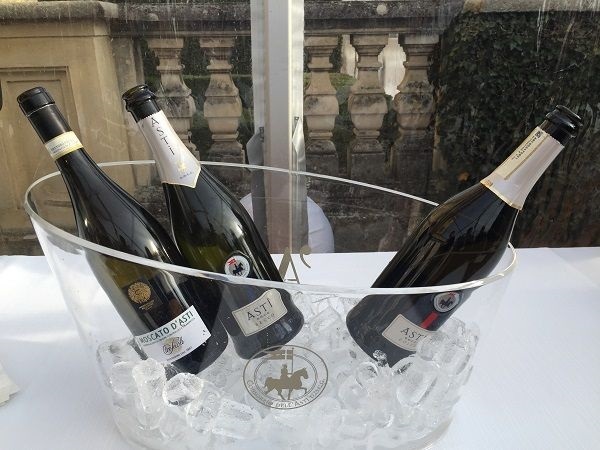 The sparkling Asti DOCG stretches from Cuneo province in the western end of the DOCG, through Asti and into the province of Alessandria at the eastern end, with the majority in Asti, to the south of the town of Asti. 52 communes are included in the zone delimited in 1932, which was elevated to DOCG in 1993. 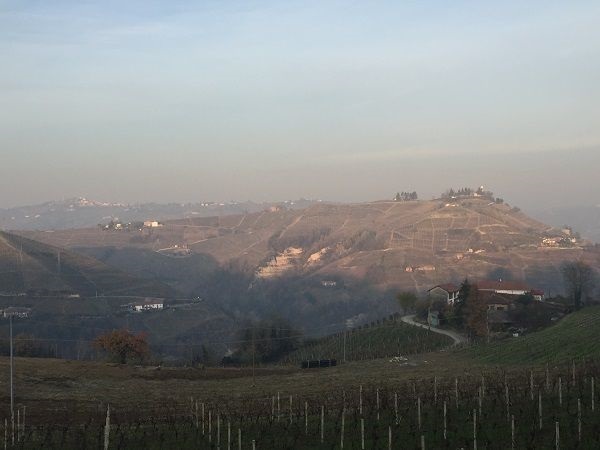 The zone actually reaches into Alba, overlapping some of the vineyards of Barbaresco, plus a zone around Serralunga d’Alba in the heart of Barolo. This perhaps explains why Moscato d’Asti is often part of the portfolios of good Barolo and Barbaresco producers. Nevertheless, Canelli is the epicentre of the denomination, given its origination of the style – and indeed its name can be appended to indicate higher-quality in the form of Moscato d’Asti Canelli. In terms of its significance, the Asti region processed 824,000 tonnes of Moscato grapes to make 750,000HL of sparkling wines – or 30% of Piemonte production. There are 3,700 growers, of whom 51% are members of the Consorzio, but these members cover 96% of bottled production. Moscato d’Asti has always sat somewhat separate from – and above – the Asti category that carries the heritage (and baggage) of “Asti Spumante”. Most importantly, the best-quality Moscato grapes – both of flavour intensity and of balance between ripeness and acidity – go into Moscato d’Asti and it still sits at the top of producers’ quality pyramid. This additional quality has always been clear to me, with a delicacy and density of attractive floral aromatics, and elegance in Moscato d’Asti, coupled with a vibrancy of acidity that keeps this fully-sweet wine light and easily drinkable. I have found Moscato d’Asti to be an attractive and enjoyable style that surpasses expectations based on sweetness, as well as being low-alcohol at around 5% ABV. Though sweeter than straight Asti – now the Asti Dolce category – the extra flavour density and balancing acidity made the Moscato d’Asti style feel less sweet. By contrast, Asti often came across as clunky in flavour, frothy rather than fine in its mousse, and cloyingly sweet as a result of the lessened acidity. More extensive tastings tended to confirm this. The launch of Secco is interesting and seems to be a reaction to the impact of Prosecco’s surge on ‘cheap Italian sparkling wine’, inevitably including Asti. At 17 g/L it is still relatively high in RS, but not so different from many Proseccos. Moreover, it will have better acidity, so the few examples we tried came across as ‘gently’ dry. It does, though, also call into question Asti Dolce’s future – caught between two stools perhaps? 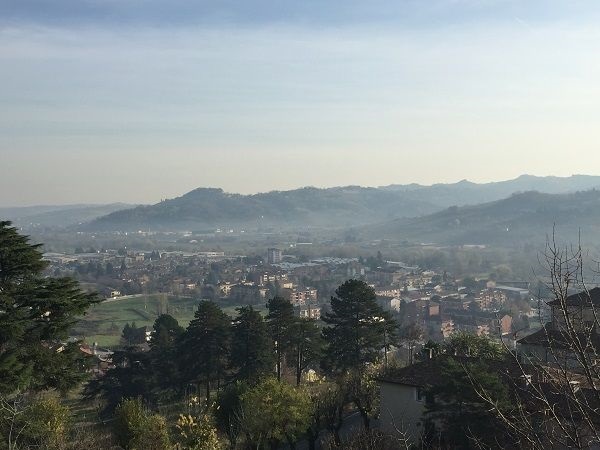 On the one hand, not good enough to shine as a fully-sweet wine like Moscato d’Asti does, while too sweet to be attractive to the mass-market of the ‘cheap, dry bubbles’ crowd who are piling into Prosecco and for whom the Asti Secco seems designed. We shall see. There is a passito category that a few producers make, where the Moscato grapes are picked and allowed to raisin a little before fermentation. The couple of examples tasted were fully-sweet at 160-180 g/L RS. However, with somewhat oxidative tones blurring the fragrance of Muscat Blanc they were not particularly successful – certainly not in the league of dried Muscat of Alexandria wines found in Passito di Pantelleria, for example. Perhaps I didn’t taste a top producer though, so I will hold judgement. Some producers, like Gancia, do make a tiny amount of true, metodo classico sparkling, with second fermentation in bottle. This is very much a work-in-progress with the Consorzio, in their development pipeline. This category would have lees ageing and disgorgement, but still with 30-90 g/L RS. I had the chance to taste Gancia’s at their winery, albeit under the influence of a cold. With lees ageing, this style would have less floral character, however it is still in its experimental phase, where they are still working out what the right process is. For example, if lees maturation is done in a fully-reductive, fully oxygen-free environment, Moscato’s aromatics become somewhat Sauvignon Blanc-like, which may not be desirable. 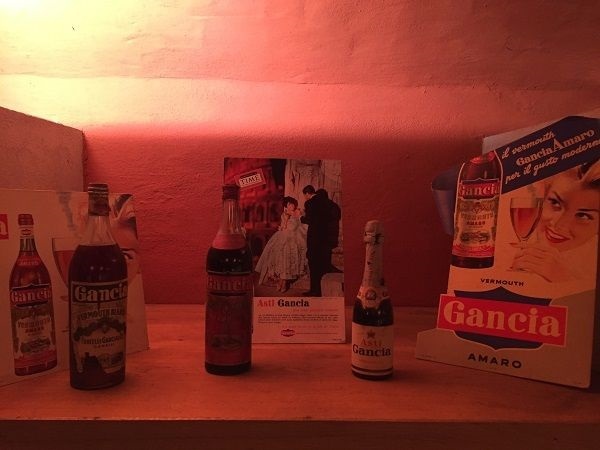 The original owner of Castello Gancia, Carlo Gancia, came from a family business originally based in Torino, making vermouth. However, intrigued by the Champagnes then popular in high society, he travelled to the region in 1850 to study its winemaking for a couple of years. On his return with the intention of making equivalent wines in his Piemonte home, unusually, he did not bring Chardonnay and Pinot Noir back to do so. Instead, he chose to make sparkling wine from most widely-grown local variety in Asti, Moscato Bianco. His use of that created the distinction of the region’s sparkling styles. Moscato Bianco has been significant in Piemonte since at least 1510, with ordinances in Langhe requiring every 5th vine planted in new vineyards to be Moscato and may have originated in Italy in antiquity. Walter believes that in Piemonte, unlike more Southerly regions of Europe, the grape carries an extra dimension of lightness and aromatic intensity. Moscato buds early and mid-ripens between August and September, needs to be pruned short, and is sensitive to mildew and botrytis bunch rot – particularly tricky as harvest tends to be at the (wet) transition between Summer and Autumn. Harvesting time requires not just balancing of acidity and sweetness, but aromatic intensity too. Acidity can drop quickly but picking too early prevents the development of aromatics. Canopy management has been a significant factor in moderating and managing the ripening cycle in recent years. 2018 was warm, but only around a week earlier harvest than most years. Most Moscato vineyards are South-facing, but it is altitude and incline that are major factors here. 44% (4,312Ha) of the Moscato vines are planted between 200m and 300m altitude, with 30% at 3-400, 14% at 4-500 and 3% over 500m. Hills are therefore significant, with much work perforce done manually due to steepness. 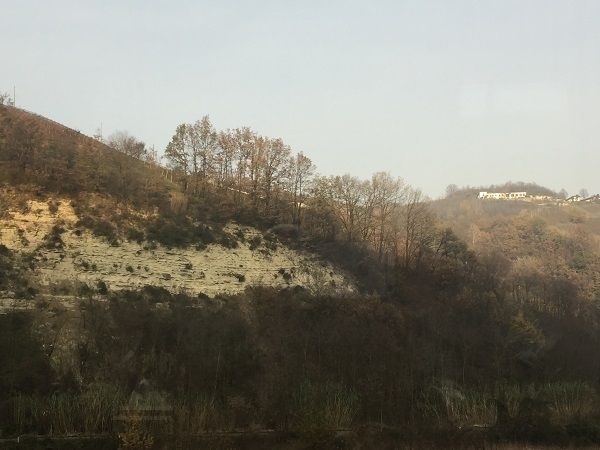 2,770Ha are on slopes over 30% incline, 1,085Ha over 40% and 336Ha over 50%, meaning 4,191Ha out of around 9,700Ha are on slopes greater than 30% – in California, it would be illegal to plant at all due to landslide risks! Vineyards labelled Sorì are over 50%, with excellent exposure, and stone terraces that retain heat for even ripening. On many of the steepest slopes, production costs make working the vineyards uneconomic, and vineyard abandonment remains a problem. 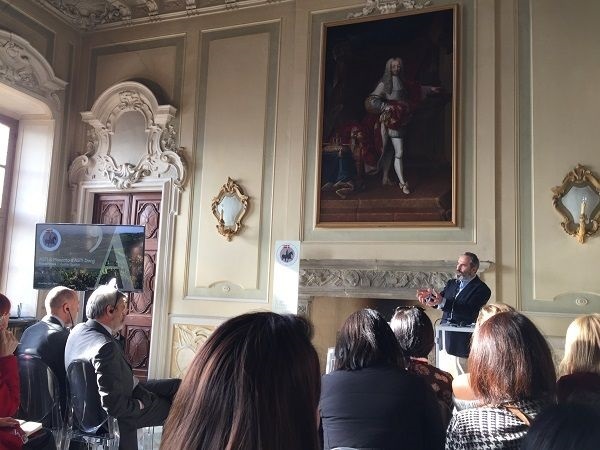 The Consorzio believes that getting UNESCO status will help with the economic situation by attracting both attention and visitors to the region, and thence to the region’s wine. Vineyard work can cost 30% more than for flatter regions. Further the Consorzio targets 8-10t / Ha yields to drive quality, and gives guidance to growers to do that, whereas key competitor, Prosecco, is often produced at 18t / Ha. It is these factors that lead Walter and the Consorzio to believe that prices are too low. In climate terms, though the region has relative proximity to the sea – with the Ligurian coast around 1 hour away – it is altitude-driven, diurnal temperature variation that plays a more significant role in freshness. Further, the altitude slows ripening, by dropping degree days from over 1,750 in valley floor areas to as low as 1,350 in the heart of the hills. Soils are primarily calcareous marls and sand, as a result of the Asti region being an ancient sea bed in the Miocene and Pliocene eras, but with lower proportions of clay than in Barolo or Barbaresco. Many fossils can be found in the Asti area. In central Canelli sandstone is found with moderate lime content in the soils, while around Strevi in the East, marl is more prevalent with significantly higher active lime. The principles of vinification carry forward some of those identified as long ago as the 17th century, by Giovanni Batista Croce for creating a light style of aromatic Moscato wine: using free-run juice without gross lees and to stopping fermentation soon after it begins by cooling, racking off and filtering away yeast lees, to leave residual sugar. Gancia then added sparkle to this process. The first commercial production of Asti Spumante wine was in 1865, and back then bottle fermentation was initially used – a tricky operation when there is a lot of residual sugar in the bottle, meaning imperfect yeast management easily led to re-fermentation and variability. 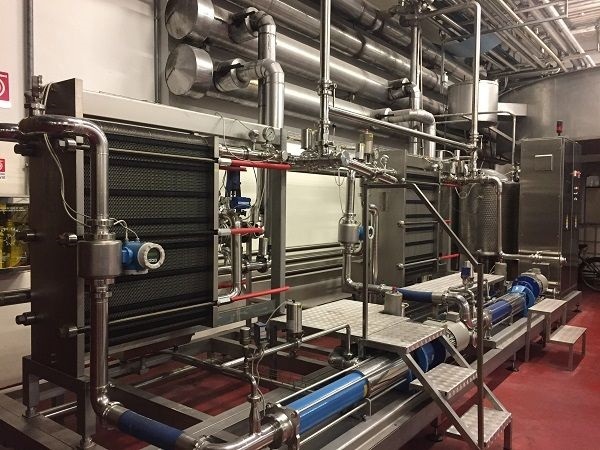 The process to prepare wine for bottling and final in-bottle fermentation to yield sparkle was therefore both hit-and miss, and labour-intensive. This drove the creation of technology to solve the problem. Originally developed in Italy by Martinotti but patented by Charmat after whom it is better known, the method of creating the final sparkling wine in a pressurised tank, followed by controlled, chill-filtration to manage refermentation, and bottling under pressure was therefore rapidly adopted. All but a fraction of Moscato-based wines from the Asti region are made this way. Looking at the process today, those principles of clear juice, short fermentation and chill-filtration thus continue for all 3 DOCG categories. Soft pressing is followed by clarification in 2 steps. First, juice is decanted-off the gross pressing sediments then the must is cleaned, to give low-solids fermentation that should retain aromatics better. The must is then filtered before cold storage at 0°C. 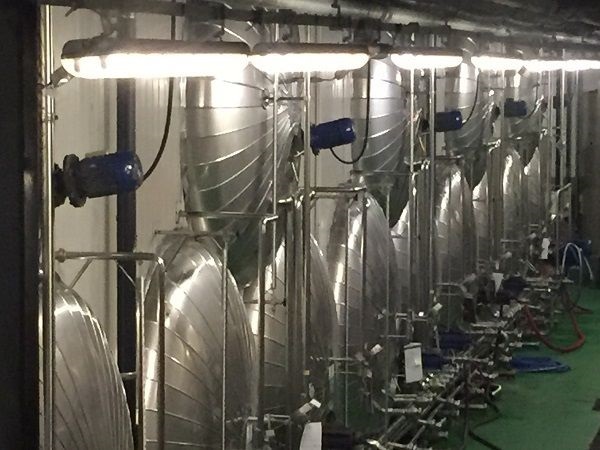 When ready to ferment and bottle a batch – which is often done year-round, when needed – the must is switched to Charmat tanks and inoculated for a fermentation whose length is short but does vary depending on the category being made. Selected yeasts are almost always used because precision and reliability of ferment is generally required in the process, plus clarity of aromatics is a key part of Moscato’s appeal. The type of yeast used is less important to flavour than how it is used – for example, minimising spoilage. Fermentation for the new Secco category, for examples, uses a set of specially-selected local yeast strains. For deciding exactly when to finish fermenting, 4 factors are constantly measured during fermentation: sweetness (RS), acidity (TA), alcohol (% ABV) and pressure (bar). Winemakers use these to pinpoint precisely their ideal balance point across these key elements. At this point the fermentation is quickly stopped through chilling and rapid centrifugation to remove the yeast. The speed of this process is critical because chilling can shock the yeasts, which can then release off-flavour chemicals as a result of the stress. Spoilage is therefore minimised by sweeping away those yeasts as fast as possible. From a regulatory perspective, the Consorzio proposes amendments to the production rules as encoded in the disciplinare for the DOCG, and liaises with central government regulators to approve and ratify those changes. They also play a monitoring role in production, looking at the growing cycle across the year in 40 vineyards across the region, and helping set harvest dates. They also analyse wine quality through a centrally-run Asti laboratory. Beyond that, the Consorzio coordinates central marketing and promotion, and brand control – including anti-counterfeiting. Explaining to the consumer what the right moment to drink each style is the current focus, alongside explaining the 3 different styles at the 3 different levels of sweetness – including the new Secco category. In spite of the best efforts of the Consorzio’s organisation – having them in a second, separate room full of producers, without anything telling us it existed – I was fortunate to taste the wines from Teresa Soria. Their dry Insolito Moscati were pretty good, but their Moscati d’Asti were very outstanding, especially the bottle-aged 2014 Moscato d’Asti Moncucco, which was almost Riesling Auslese-like in preserved lime and stone fruit character. Can a Moscato d’Asti command 95 points? In this case, truthfully, yes. 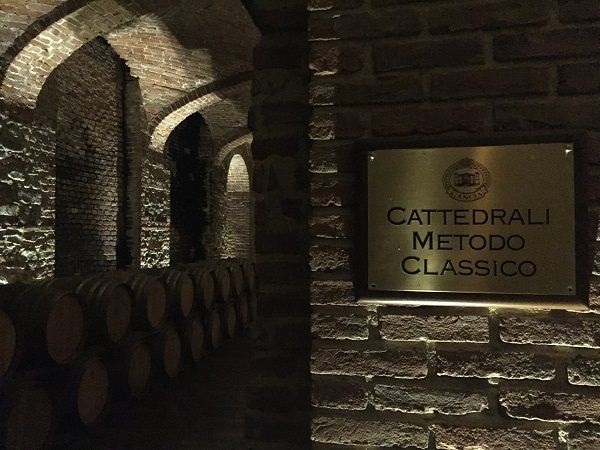 There were other producers whose Moscati transcended just being elegant, fresh-yet-sweet, floral frizzante wines, with extra dimensions of aromatic complexity and far greater length than the solid-quality norms. That included both Tenuta Olim Bauda’s Centive 2018 and Michele Chiarlo’s Nivole 2018. Bera’s pair of Moscato d’Asti 2018 and Su Reimond Moscato d’Asti 2018 from a single-vineyard that could make Barbaresco were also pretty good, as was Terrabianca’s 2018 Vignot Moscato d’Asti Canelli. The wines from Il Falchetto and Matteo Soria also merit recognition. 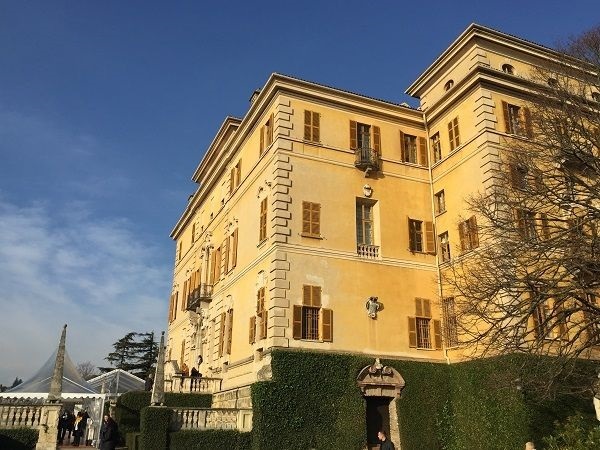 Bera’s Asti Dolce 2017 showed the quality of them as a producer, being a cut above what were generally a pretty average collection of Dolce and Secco wines. In that context, Gancia’s 24 Asti Dolce 2011 also deserves mention, as it is their new, traditional method, bottle-fermented Asti with 24 months on lees and 100 g/L RS. Tasted at our first lunch. Just bottled. 5% ABV. Tasted at walkaround tasting. Just bottled. 5% ABV. Canelli vineyards. 6.5 g/L TA, pH 3.15, 5% ABV. To be bottled the following Monday. 6 g/L TA. 6 months in tank. 5.5 g/L TA. P: Rich and dense. Not as brisk acidity as 2018 but also not as cloying sweetness? Just bottled. 130 g/L RS. 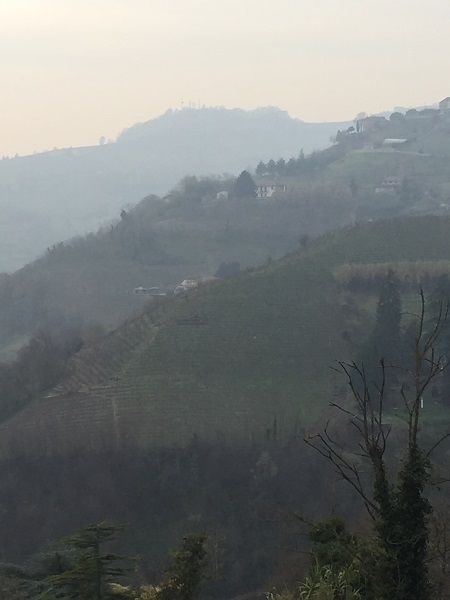 60 year-old, single vineyard, facing South, technically in Barbaresco. Mango fruit at 500-550m altitude. 30 year old vines, mainly North-facing. Fermentation at 15-17 then dropping down to 14C for a longer fermentation that preserves aromatics and makes the bubbles finer. 7-7.5 g/L TA. Single-vineyard, with 55 year old vines on very calcareous soils, facing South. 6.5 g/L TA. Bottled year-round, each week. 6.6 g/L TA, pH 3.08, 140 g/L RS. Tenuta della Ciombo. 2.2 Bar at 20°C. Same winemaking as Ciombo. Their largest volume and most famous bottling. Single vineyard in the heart of San Stefano Balbo. Bottled 4 days before. 139 g/L RS, 5.65 g/L TA, 4.79% ABV. 9Ha vineyard on chalk, planted in 1970. 5% ABV. N: Beautifully-delicate, orange blossom and lemon sherbet. No tinned tones. *Tasted with a bit of a cold. 5.5% ABV. Single producer’s wine selected each year by the members, to be own-labelled as the Consorzio’s representative wine. 7% ABV. *Tasted with a slight cold. Tasted at the winery. Bottle-fermented Moscato. 24 months on lees. 100 g/L RS. 7% ABV. Single producer’s wine selected each year by the members, to be own-labelled as the Consorzio’s representative wine. 11% ABV. *Tasted with a slight cold. Tasted at the winery. Primarily 2017. 14-15 g/L RS. Single hill, but separate plots around the hill. Non-vintage for consistency – blend in some of prior year. 12% ABV. Still, dry Moscato. 2 vineyards – one riper, one with more acidity. 14% ABV. End-September harvest, then 1 month in boxes to dry. 180 g/L RS. 14% ABV. 100 year old vines. Dried Moscato. 160 g/L RS, 12.5% ABV.